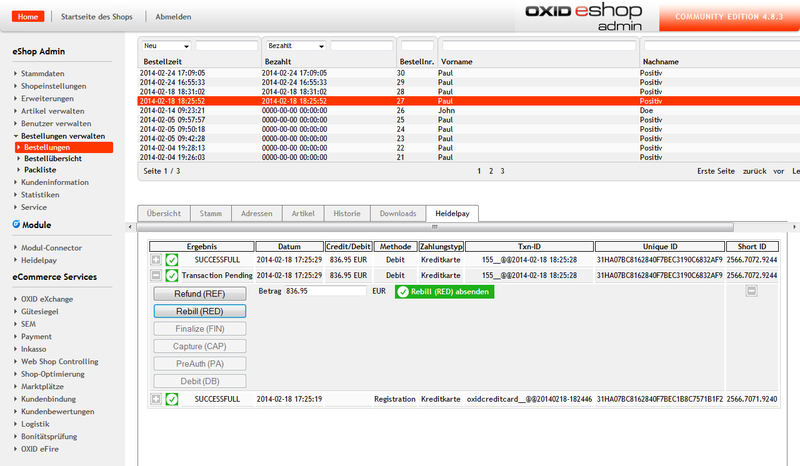 OXID eXchange | Heidelpay Integrator 6.0.2.2 PE Premium | Stable | EE, PE | 4.10.x - 6.1.x - pe | Module, Themes, Language Packs direkt herunterladen! The Heidelberger Payment GmbH provides a payment system for all usual payment proceedings for payment transactions via the internet. 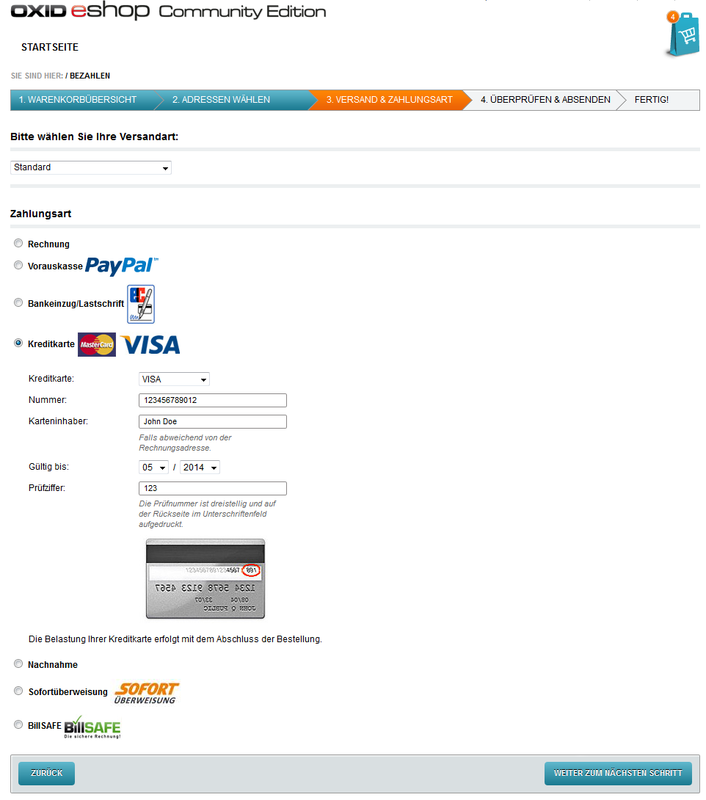 Heidelpay is a complete solution provider for the ecommerce merchant. This means that Heidelberger Payment, as a Member Service Provider (MSP) of Visa and Mastercard, places acceptance contracts to ecommerce merchant directly. You don`t have to talk to a bank in addition. In the attached document (Heidelpay_description.pdf) you will find further information about our extension. Advice! The edition “Basic” is available from shop version 4.7.0. For older versions please order the “Premium” edition. For customers with OXID eShop Enterprise Edition the edition“Premium” is available. With one licence for Enterprise Edition you can use the extension in 3 clients. If you use more clients Please contact us. Mit einer Lizenz für die Enterprise Edition ist die Nutzung in 3 Mandanten möglich. Bei Nutzung von mehreren Mandaten kontaktieren Sie uns bitte. 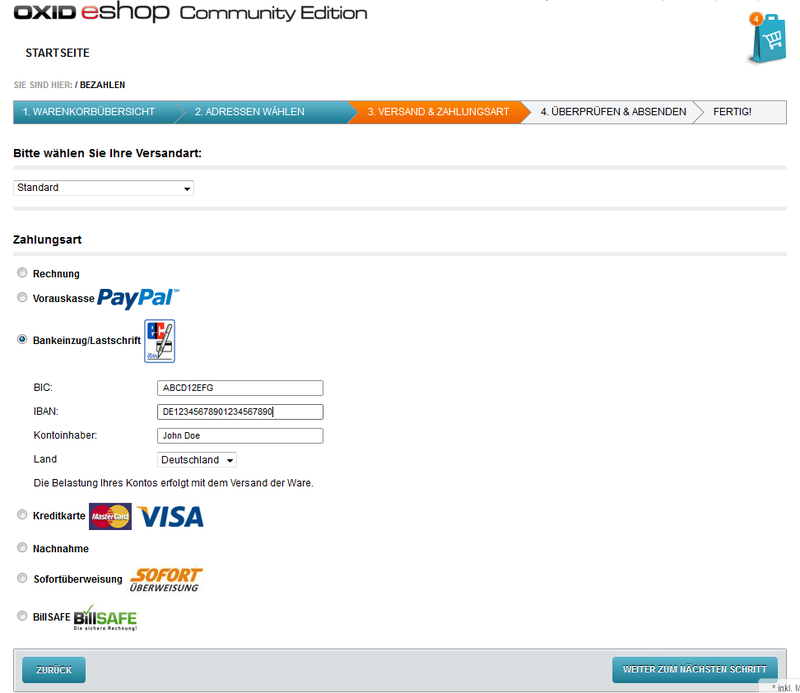 If you use this extension in OXID eShop version from 4.7.0 / 5.0.0, please send us your order confirmation to [email protected] and you will get the necessary activation ident.